A survey assignment’s complexity depends on the type of surveys needed, the time required to complete the field work, and the office time it takes to process the data and generate maps and plans. 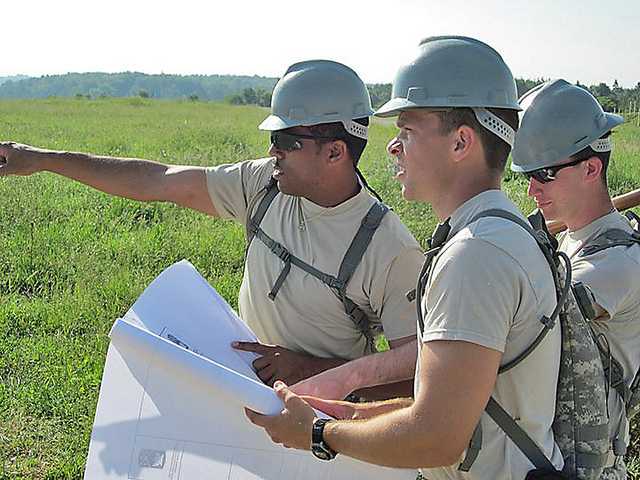 It’s not uncommon on large projects to utilize several different land surveying teams. When the job calls for more than one survey team, the land surveyor’s primary intent is to efficiently collect all necessary data. The challenge, however, is to effectively plan, coordinate, and manage these teams in such a way to avoid mis communications and task redundancy, overlap, and need to re-survey. This post provides a number of construction project planning tips in order to help managers seamlessly oversee these multiple teams. Permits– Accesses, drainage and pipeline crossings, river and stream diversions, relocations. Environment Concerns– Pre-construction and construction delineation and mitigation. Site Design / Earthwork – Boundary lines and plats, well pads, staging, building, production. Post Construction – As-builts, claims. Utilization of the latest land surveying technologies and current software is important to efficiency. Land surveyor teams with better tools are more flexible, mobile, and scalable. The land surveying manager then is not as concerned with equipment reliability, availability, and accuracy, and can focus on deploying teams that can fully execute their assignment in a timely manner. 1. Utilize Land Surveyors Experienced In Working Together And/or Familiar With The Particular Region. When teams have experience working together, there is usually better communication. This communication is especially helpful if at least one of the teams has experience working in the region that is being surveyed, as they can provide better insight into how to go about the survey. Land surveying teams are comprised of a party chief/lead, and technicians knowledgeable in the specialty (utility, right of way, seismic, geotechnical, and environmental, boundaries) that the particular assignment requires. Familiarity with the region, landmarks, markers, and unique obstacles such as streams, rivers, rugged terrain and total open space help reduce the potential for unpreparedness and unnecessary complications. These issues can include un-calibrated equipment, poor field organization, slow decision making and problem solving delays. 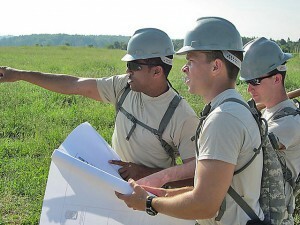 It is also not uncommon to find a survey team lost enroute to a remote jobsite. When at least one team is experienced working in a particular region, they are able to communicate and wok through the challenges. However, different surveying teams may use different criteria for each of the plats that they create. This can create confusion and miscommunication when information needs to be compared between plats from two different teams. If you are bringing in multiple survey teams, make sure to establish the criteria for the plats early on to prevent this confusion. A project management system is invaluable to construction project planning. A project management system allows different survey teams to easily share information on a single platform and collaborate effectively with the client. This improves communication between teams and creates a single depository of information for them to put upload data to. This greatly increases the speed from which the multiple teams work and makes it less likely to have discrepancies between data collected between the two different teams. For more information on construction project planning for oil and gas companies, download our free eBook on the latest land surveying technologies and how they benefit oil and gas projects.